One of the Best Golf Event Venues in Western New York! PGA Certified Instruction. Adult & Youth Programs. 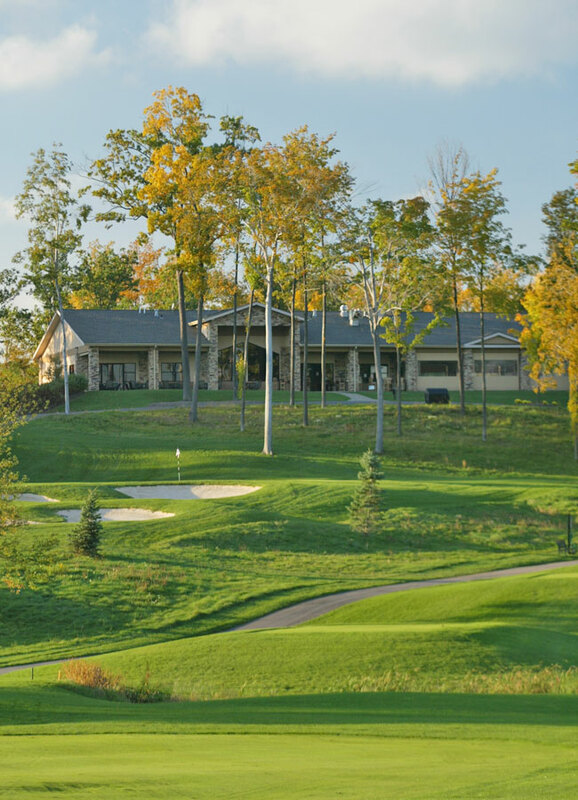 Ravenwood Golf Club is an award winning 18 Hole course located just minutes south of Rochester New York, in the heart in the Finger Lakes Region of Western New York. Considered to be the Top Public Golf Course in the area, Ravenwood was selected by Golf Digest as the 5th "Best New" public course in the United States to open in 2003. Ravenwood has hosted many USGA & PGA qualifiers as well as the Home of the 2003 & 2009 New York Men's Amateur Golf Championships. The Championship Golf Course has bent grass tees, greens and fairways but with five sets of tees can be a fair and challenging test for golfers of all skill levels. Ravenwood is a full service golf facility, with a lighted all-grass-tee driving range, PGA Certified golf instruction for Adults, Juniors, and Groups, and a great practice facility. 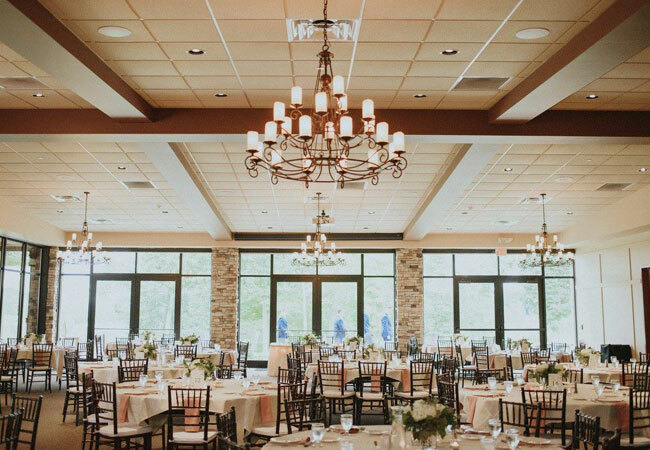 In addition to superior golf, Ravenwood's 3600 square foot banquet facility is an ideal venue for weddings, special events, corporate meetings, and banquets. The facility is Open All Year and has a full kitchen available to meet all your catering needs as well. a world-class golf & social experience. 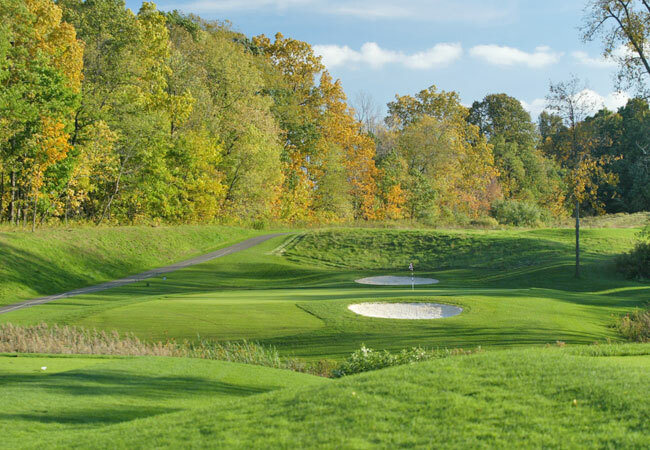 As one of the most diverse golf facilities in all of Western New York, Ravenwood has so much to offer golfers looking for a high-level experience day in and day out. Best of all, you won't have to pay those exclusive "Private Club" rates. The best is here at Ravenwood, and for you, the best is yet to come. From the moment you arrive on property, you'll begin to envision how your special day is meant to unfold. No matter the theme you choose for your Wedding Day, our experienced staff will work diligently to provide you and your guests with memories that last a lifetime. 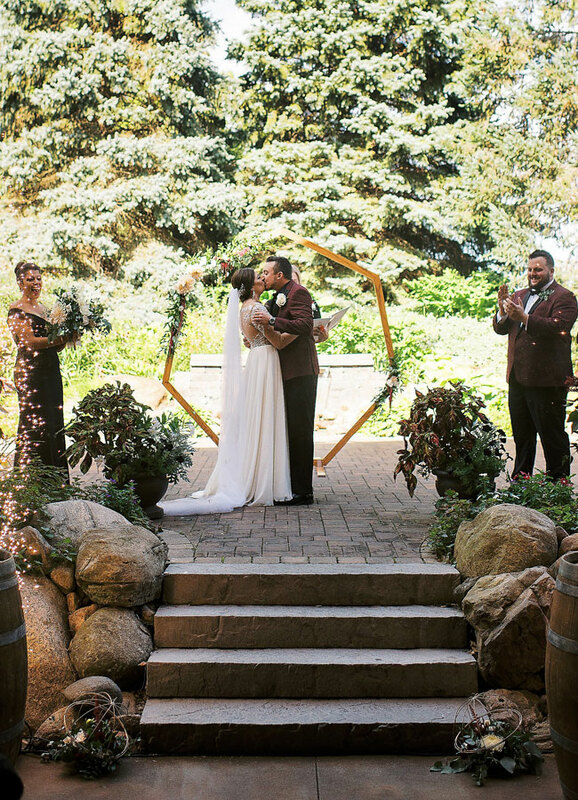 Serving as the perfect backdrop for limitless photo opportunities, the lavish and lush surroundings at Ravenwood Golf Club provide a rich contrast for your wedding party to partake in every enjoyment around the grounds. detail exactly the way you'd expect. Your reception will be hosted in The Black Raven Banquet Room. Newly renovated in 2009, you'll overlook the breathtaking landscape of our Championship Golf Course. With sliding glass doors opening up completely to the adjacent garden with lighted waterfall, this space is also perfect to host your Ceremony. For seasonal rates and tee times, please call the Golf Shop at (585) 924-6711.